This orange kitty with whiskers may wisk your clients away with it's realistic details. 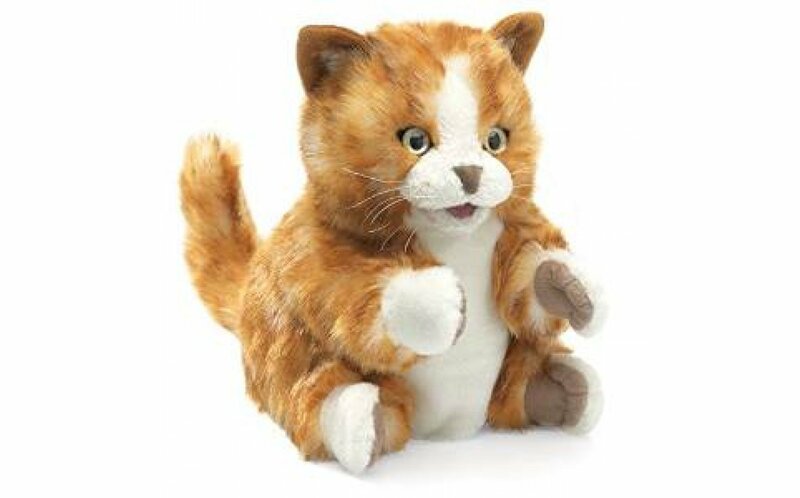 Enjoy the quality and workmanship of Folkmanis brand puppets with this orange tabby. Fingers fit inside head, mouth, and arms to bring this kitten to life. 10"x7"x8"